Summer is a time for sun, sea, and surf. Now, it’s also becoming a time to harm corals and the marine life they protect. That’s because the sunscreen which tourists apply generously on their skin before getting into the beach has chemicals that harm the corals living thousands of feet below the sea. In 2016, Craig Downs, a biologist, discovered that oxybenzone can cause DNA damage in coral larvae, interrupt their development, and kill them right off. Downs reports that young corals suffer even more. That’s because young corals are a thousand times more sensitive to the chemical than adults. This makes oxybenzone a threat to coral reef conservation efforts. Downs adds that oxybenzone also poisons developing fish, sea urchins, shrimp, and oysters. Downs believes the only way to keep oxybenzone from doing further damage is to ban it completely. It not only harms marine life but human health as well. He points out that oxybenzone is an endocrine disruptor or a chemical that has harmful effects on people and marine life’s developmental, reproductive, neurological, and immune systems. Studies revealed that oxybenzone can impair fetus development and lead to lower birth weights. It is also thought to cause cancer. You don’t have to give up your summer outing though! There are a lot of natural alternatives to those chemical-laden sunscreens out there. Try wearing a long-sleeve shirt, a wide-brimmed hat, and limit sun exposure. You not only save on sunscreen cost, you also help save marine life. 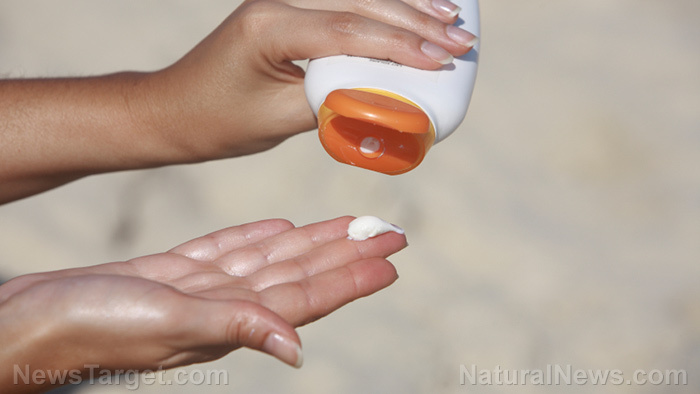 Find more articles about the dangers of convention sunscreens at Toxins.news.